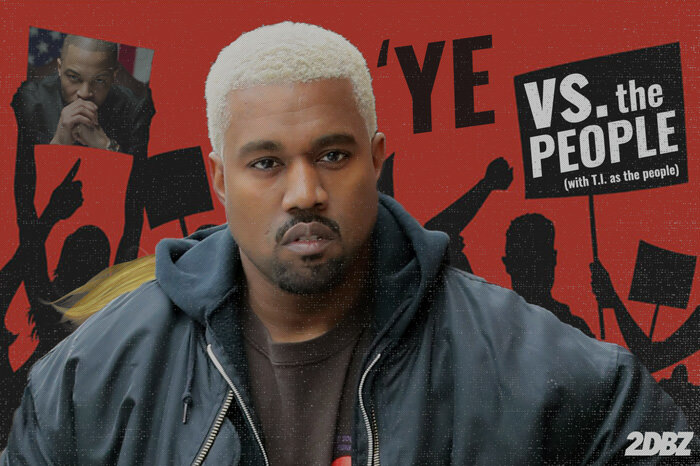 Following the release of his messy troll-tastic tune “Lift Yourself,” Kanye West gifted Power 106’s LA Leakers with his second song of that night, “Ye Vs. The People.” Guesting T.I., the track depicted West attempting to explain the reasoning behind his controversial comments on Twitter. Now the song has been officially released, so everyone that’s been bombarding the Leakers with talking over the song when they premiered it (hey, you get the song first, you can do what you want IMO) can stop badgering them and hear the song up close and personal. Check it below.